Looks like AKC, UKC, ADBA. But i like the terriers. Super little dogs. 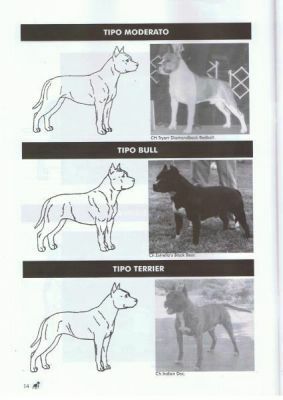 Well these were all registered AKC, but what you want is a moderate type in an Amstaff. Not too bully, or not to terrier. But I agree they are super. :) Love those bully breeds ;) I think they should all be registered as one. The Amstaffs and the Pit Bulls. 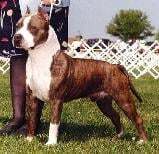 An Amstaff is only an AKC registered Pit Bull. They are the same. Yeah I was surprised about Redbolt myself. :/ But yes I prefer a terrier type anyday...Bully type not so much.......I cant tell if Estrella's Black Bear is Bully Type or maybe just a bit overweight???? What do you thinki??? ADBA is doing wrong. They don't reg AMSTAFFS. I tried of these fraud and paper tagging with these bloodlines Razors Edge, Gottiline , GrayLines, XL, XXL, XXXL, BlueLines, Red Rum and Monster G line, Remyline, Marcuslines and a lot more. to Jenni78- I used to own a couple top AKC ch pedigree AmStaffs, and now have an ADBA pit bull. What in your opinion are some of the bigger differences in the two, as you stated above? I'm just curious. It's like being in a Blizzard, with tall snow drifts. Now, do you want a good 4 Wheel Drive Vehicle, or it's 2 Wheel Drive Counterpart? Both vehicles look about the same, but the insides are much different.